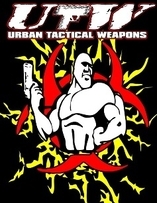 It is amazing how much the word ‘practical’, ‘effective’ or 'street self defense' is used to describe a certain Martial Art system. Yes, many fighting skills are practical and effective within realm of fighting, the question is how practical are these skills within modern society and against various types of attacks(ers) i.e. aggressive night club attack, skilful 'street' fighters, street thugs, road rage, trained criminals, terrorists, hi-jackers, rapists, home invasions to name only a few. 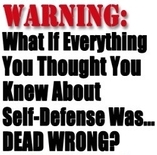 Self Defense is not just supposed to be for the big and strong, but rather for anyone who is concerned about their personal safety. Woman, old people and kids are usually labelled as soft targets and need to be exposed to training methods and tactics to help them survive the pavement arena and to become hard targets. The latest buzz word in the martial arts community is 'reality-based'. It is a police term, though never widely used in the law enforcement community, which refers to Realistic Conflict Rehearsal training. The term 'reality-based' was brought to light thanks to one of the world's leading reality based instructors, Sergeant Jim Wagner from the USA. Street violence which can be directly related to the unlawful exercise of physical force is a reality which all of us live with on a daily basis. 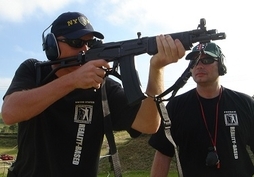 Training to protect oneself for street confrontations is very intense and quite different from training for competitions, even the No Holds Barred competitions that are very popular today. The Pavement arena is where there are no rules, where anything goes and where you can expect the unexpected. This is however not just about fighting but also about exploring the 3 stages of a violent pavement arena, i.e. Pre Conflict, Conflict and Post Conflict. This will include but is not limited to avoidance techniques and tactics, personal security, self defense and the law, how to recognize agitation in a hostile person and how to talk your way out of a bad situation. 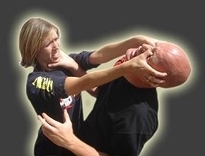 You will also be exposed to what to do after a conflict situation – citizens arrest methods, first aid, how to recognize an attacker again to assist the police and how to overcome post traumatic stress following a physical conflict. 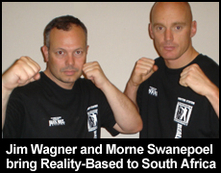 Morné is personally trained and certified by Sgt Jim Wagner from the USA. 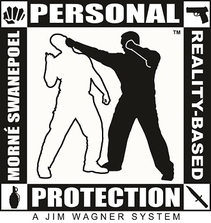 Morné is also appointed as the Reality Based Personal Protection regional director for the African continent.